The Anteater That Didn’t is the fully illustrated story of Nigel DeMontfort, a purple anteater who very much prefers cream teas to ants. It’s a project that writer Greg Allum and I have been developing together since the start of the year and now we’ve launched a Kickstarter campaign to fund the printing of the finished book. 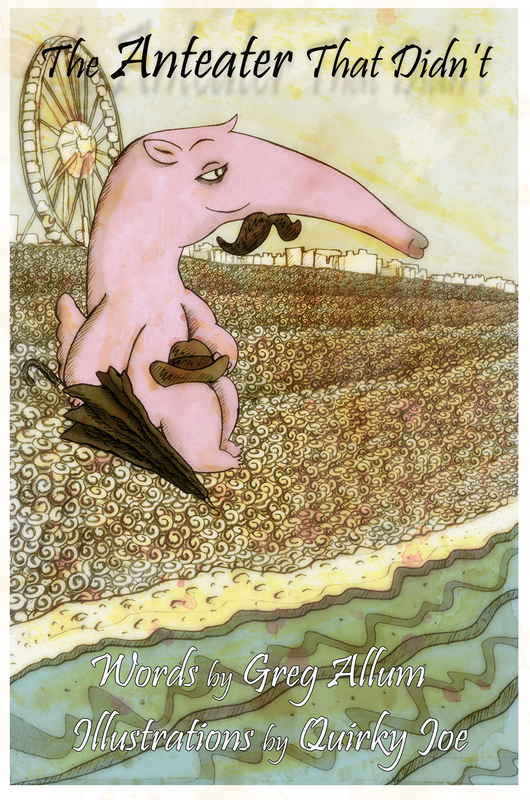 It’s the story of how an eccentric anteater attempts to help a cafe owner out of ruin. It’s aimed at readers 8-years and older, approximately 10,000 words and features 20 full-colour, tea-stain-textured illustrations (like the one of Nigel below) and 20 line-drawn illustrations. We’re really proud of the story and characters that have developed through the writing and drawing processes and we’re looking forward to sharing more about the project as the campaign goes on. For now though, here’s Nigel on Brighton beach….